Looking to test purity of gold silver platinum palladium metals using a state-of-the-art XRF technology? XRF Technology is extremely useful in helping anyone improve their perception of Gold Silver Platinum Palladium and its blending elements. It is something interesting for consumers to understand and appreciate and make sure that they are getting the true value of the item for the price they are paying. 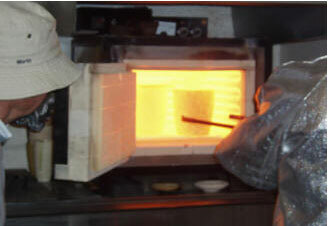 There are various methods of gold testing. Our Thermo Niton Precious Metal Analyzer XL2 100 using state-of-the-art XRF technology however is in many ways far superior to these. That's all it takes – one simple trigger pull or the push of a button and almost instantly you will have an accurate purity analysis for on the-spot sorting and valuation of gold and all precious metals...as well as quantification of other desirable and undesirable elements. 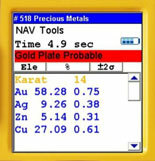 Thermo Scientific Au/gold Detection & Identification Technology (AuDIT™) a patent-pending software feature helps you meet the challenge of identifying gold-plated items. This proprietary plating detection technology was developed for and is only available on Thermo Scientific portable XRF analyzers including the Thermo Scientific Niton XL2 precious metal analyzer. Several independent complementary methods in the AuDIT software work in tandem to alert you to the probability that an item is plated. 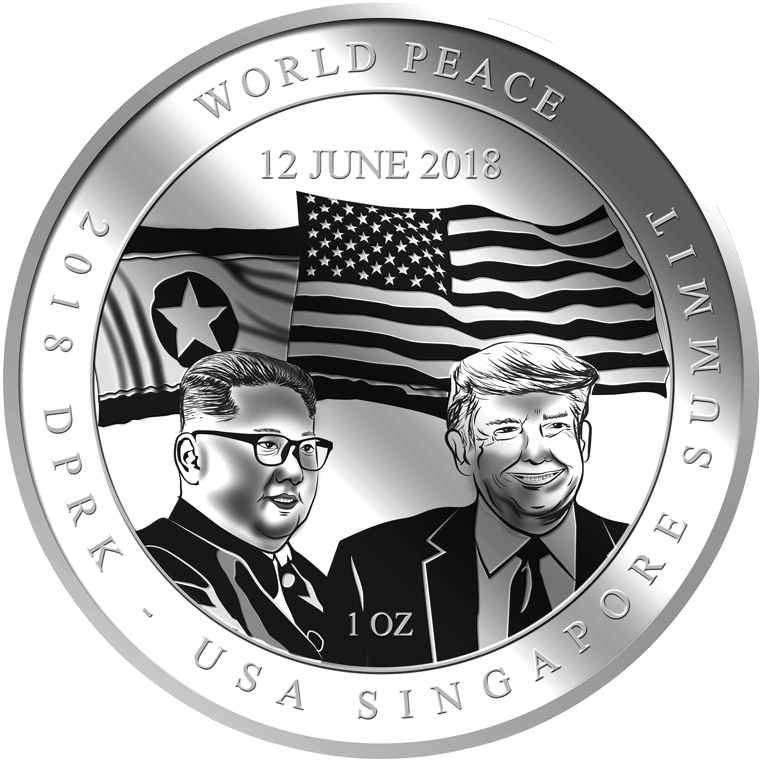 The primary patent-pending technology based on elemental XRF signatures works regardless of the gold concentration of the plated surface layer. AuDIT technology works for vermeil (gold-plated silver) as well as gold-plated copper steel tungsten and any other non-gold substrate. 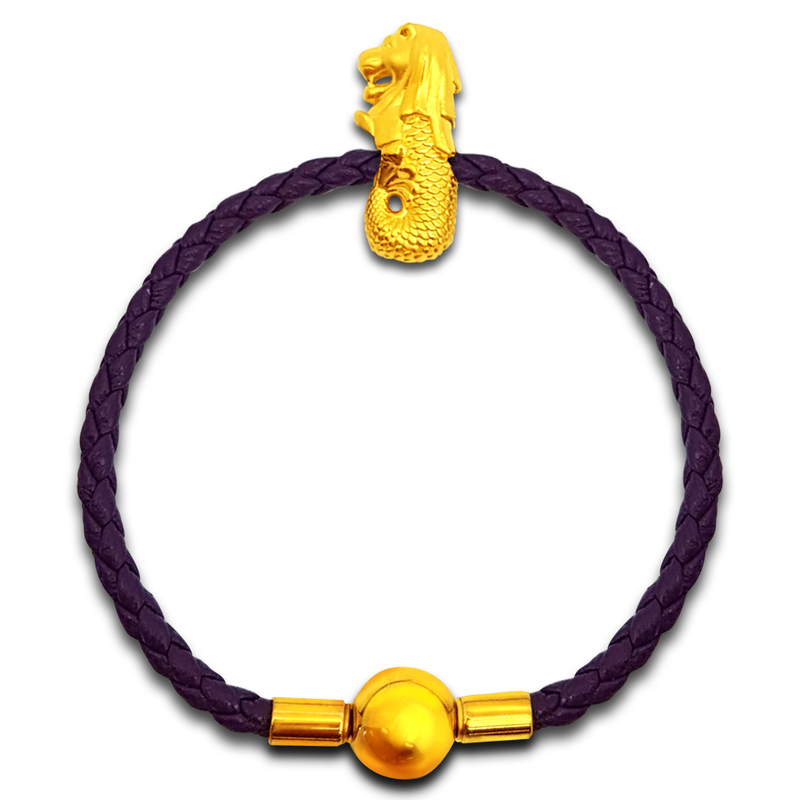 - Essentially tests the "skin" only through a physical scratch made on a black stone. 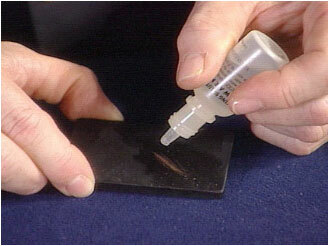 - The method is complex destructive slow and labour intensive. - Results within seconds. Comparable results to fire assay if the same physical cutting of jewellery or drilling is done. With the volatility and high price of gold precious metals and gems you cannot afford the time or the potential inaccuracies of traditional testing methods to determine the value of items being bought sold or recycled. 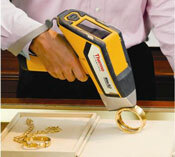 Using Thermo Scientific portable x-ray fluorescence (XRF) analyzers now with Thermo Scientific AuDIT gold-plating detection technology you can find out in just a few seconds with fire assay-comparable accuracy the exact precious metal content in jewelry coins and other valuable products . That's all it takes – one simple trigger pull or the push of a button and almost instantly you will have an accurate purity analysis for on-the-spot sorting and valuation of gold and all precious metals...as well as quantification of other desirable and undesirable elements. A culture of innovation and a distinguished history of breakthrough achievements define our XRF analyzers engineered from the ground up to help you determine precious metal content. Your need for fast accurate nondestructive results are clear. Just as clear are the benefits your business can realize from using Thermo Scientific Niton XL2 and Niton® XL3t handheld XRF analyzers – both now available with groundbreaking GOLDD™ technology. With their many standard features and available options handheld Thermo Scientific portable XRF analyzers stand far above the competition. Take advantage of the standard Thermo Scientific Niton Data Transfer (NDT™) software suite to customize your instrument. Integrated USB and Bluetooth™ communications provide direct data transfer to your PC or networked storage device. Want to move from the flexibility of a handheld unit to the stability of a bench or countertop system? Simply dock your analyzer into one of our optional test stands and operate it via the unit itself or remotely through your PC. Our mobile test stand comes standard in the value-packaged Niton XL2 precious metal analyzer.